In Florida, the Magic Kingdom started it all at Walt Disney World, but when Epcot came along 11 years later, it kicked off the transformation from a fun vacation spot to a top must-do destination. The name Epcot was originally an acronym for “Experimental Prototype Community of Tomorrow,” and the park's official moniker was EPCOT Center. Today that's been shorted to plain old “Epcot,” but the park has retained its mission as a sort of permanent World's Fair that showcases new technology and cultures from around the world. Originally, Walt Disney wanted to create a real residential community where people would live, work, and play. He passed away before seeing the Magic Kingdom come to fruition, but even though Epcot took on a much different form than he envisioned, it brought a much different ambiance to the Disney resort, with a park that takes at least one full day to see. While the Magic Kingdom is all about fantasy, Epcot is grounded in reality, with displays, pavilions, and rides that showcase new technology and visions of the future. 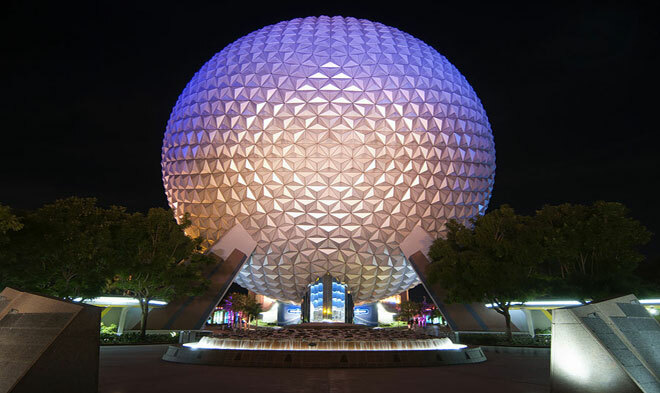 The first thing you see when you enter the park is Spaceship Earth, an enormous silver geodesic sphere. That giant “golf ball” houses a ride exploring human communication from prehistoric times to the present, with a little peek at some future possibilities in your customized ending. 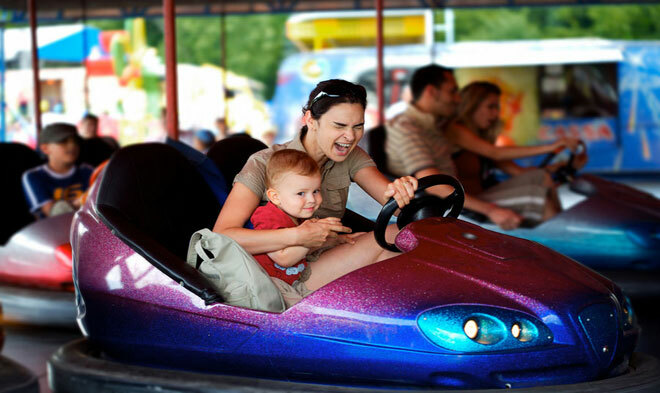 After the ride, guests step into an interactive area, sponsored by Siemens, to try out different types of technology. 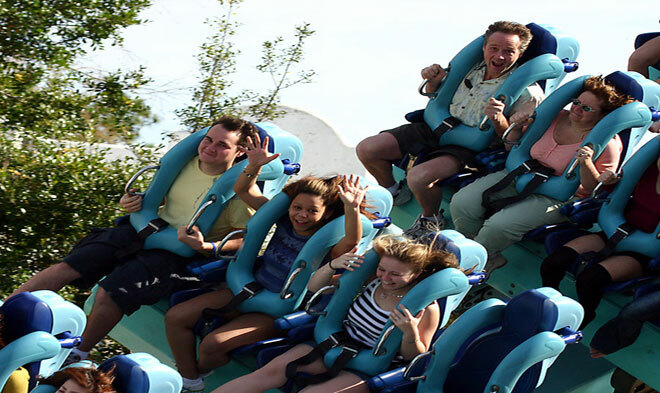 Other pavilions in Future World include Ellen's Energy Adventure, where Ellen DeGeneres and Bill Nye the Science Guy look at different forms of energy, their limitations, and their future applications; The Seas With Nemo and Friends, where manatees, dolphins, and a host of aquatic creatures swim along with characters from “Finding Nemo”; Test Track, where you design your own car before hopping aboard the ride, and then do some virtual driving, make a commercial, and try other fun activities with your creation after your test run; and The Land pavilion, where you can take an educational boat ride through experimental greenhouses and get an aerial tour of California on the Soarin' ride. 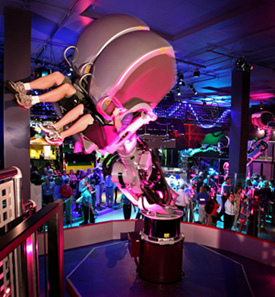 The Innoventions areas in Future World house a regularly-changing assortment of exhibits. 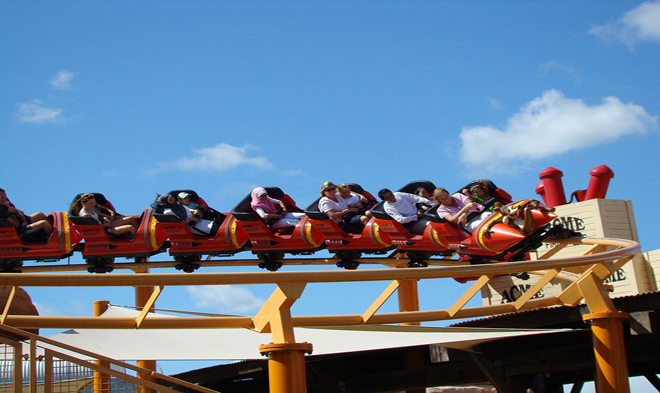 Among the most popular are Sum of All Thrills, a virtual roller coaster ride that teaches kids how math applies to real life (and real fun) and the Vision House, which showcases amazing “green” technologies. Guests can also experience the awesome forces of nature in Storm Struck and learn about home safety in Where's The Fire?. Future World is just one half of Epcot. Head to the backside of the park, where World Showcase brings the architecture and culture of eleven different countries to Florida. The American Adventure sits in the center, surrounded by Mexico, Norway, China, Germany, Italy, Japan, Morocco, France, the United Kingdom, and Canada. Each country is staffed by native Cast Members and features carefully crafted buildings, stores selling imported merchandise, and counter service kiosks and sit-down restaurants that serve up authentic meals. Most of the countries have movies that transport you to foreign locations, and Mexico and Norway also feature boat rides. Watch for special entertainment throughout the day, like Chinese acrobats, Japanese drummers, or French comedians. 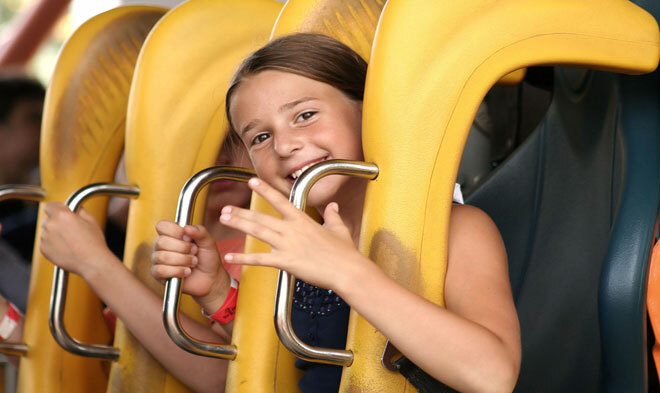 Kids who might otherwise be bored by the movies and stores will get engaged with learning about the world by signing up for Agent P's World Showcase Adventure. This interactive game, based on the wildly popular Disney Channel show, “Phineas & Ferb,” recruits families to help Perry the Platypus defend the pavilions against his nemesis, Dr. Doofenshmirtz. Players used a modified cell phone to get their secret agent orders and explore remote corners of the countries that they might never notice otherwise. Epcot's always worth a visit, but it's especially fun to coincide your trip with one of the annual festivals. The Epcot International Flower and Garden Festival, which takes place in the spring, features exquisite gardens and detailed Disney and Pixar topiaries. 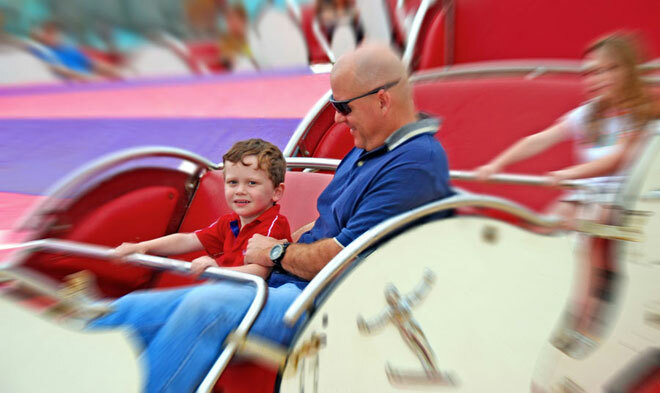 There are special food kiosks to explore, themed playgrounds for the kids, gardening presentations, and Flower Power concerts with performers from the 1960s and '70s every weekend. If you can't visit until the fall, you may luck into seeing the Epcot International Food and Wine Festival. This event is all about gourmet dining and delicious alcoholic beverages at kiosks ringing World Showcase. 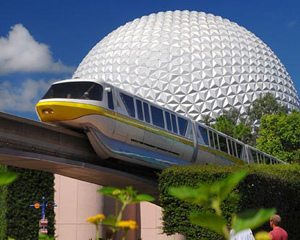 If you'd like to visit Walt Disney World and see Epcot for yourself, go to www.orlandtravelproviders.com or phone 1-800-618-5002 to find out about affordable lodging and special packages.